How to pack and organize your storage unit? So, you have decided to move but you do not have room for all of your belongings. Renting a storage unit is a good way to deal with this problem. It is a safe way to put your belongings in a place only you can access. But it is important to know how to use a storage unit. You cannot just take all your stuff and throw it in the storage. This will take up much space, and in this case, you need to be very efficient in using your space. In this text, we will talk about the best ways to pack and organize your storage unit and how to avoid cluttering of your stuff, and even breaking. So, let’s dive in! Best ways to pack and organize your storage unit. When it comes to renting a storage unit, you need to pay attention to some details. 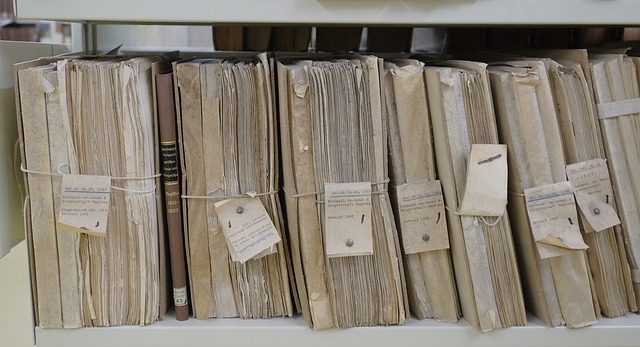 You need to know the dimensional restrictions a storage may have. If you have a lot of stuff, you will have to rent a bigger storage. So, it is important to measure all of your stuff, and imagine visually how you will put everything inside the unit. When you make a visual representation, you will know where to put certain items to avoid clutter. Get a storage unit of the correct size and consider how will you fill all that space. You should also check for legal restrictions your storage may have. You should not put anything flammable inside the unit, such as gasoline, fireworks, or gas tanks. The owner will most probably deny you if you want to put something like this in. You should also avoid putting medicine, plants, and any kind of food except maybe canned food. It is crucial that you create an inventory of your storage. It is very easy to mix up things during your move, and an inventory list will make the organization much easier. You should put all the items you want to put in your storage on a separate list, or at least mark it as “storage” on your main moving inventory list. It is also easy to forget what you put into storage. After some time, you will start wondering whether you lost an item, or just dumped it in the storage, never to be seen again. By making a list, situations like this will not happen. You also need to decide about your personal items. You need to consider if you really have to put it in storage, or you just do not have enough room in your new house. If it is sentimental, then it is probably better to somehow fit it in your new house. However, this may not be possible. If so, you should think about putting it in your storage then. And you probably do not want to sell it. However, there are some things that are not sentimental or useful, so it is better to consider selling them than to clutter up your storage. You need to carefully consider how to pack and organize your storage unit. The first thing you should do, is thoroughly clean your items. This will prevent any damage to the stuff, like mold. It will also make the job easier and less smelly when you unpack the items after the need for storage passes. Another thing to think about is containers for your items. The best idea is to get boxes , so you can efficiently fill up space in the unit. You can also think about using plastic bags with zip-locks. This will ensure that you always know where which item is, because of the see-through plastic. If you still choose boxes, make sure to label them accordingly. The best idea is to put the items in their original boxes and store them like that, but if you threw away the original boxes, you need to label the new boxes in order to know what is inside the box. Using boxes is a great way to use space! If you are putting in kitchen appliances or other techs, make sure to carefully wrap them in some cloth or fabric in order to avoid breaking and other things like mold setting in. It is important to put completely dry items, in order to prevent mold and mildew. Be sure to secure the cords with tape and wrap it all in cloth. This is important if you move to cold places. If you are, for example moving somewhere cold, try finding out if they can help you with packing your storage. Google something like “Ancaster movers storage packing”, to see if they offer such services. You can disassemble larger items in order to use space more efficiently. Put the big items on the bottom, but avoid putting fragile items there. If something is big but fragile, it is not smart to put it all the way down, as the pressure from everything you put on it, may cause the item to break. If you want to make a long-distance move, renting a storage is the best option to put your items in a safe spot before you are ready to put them in your new house. Hiring long distance movers Canada can make the job easier because not all companies are ready to take on a long-distance move. Some may even try to slip in some additional services not agreed upon. Pick the right movers who will help you pack and organize your storage unit. 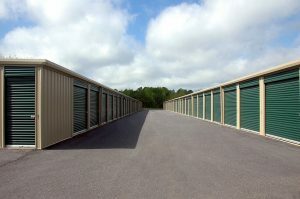 A storage unit is a great way to deal with space cluttering up during a move. However, you need to be aware that efficiency is the key. Just renting a storage unit and using the space inefficiently will be detrimental to your whole moving process. Use this article to get tips on how to pack and organize your storage unit. We hope that this text will be useful, and help you in your upcoming move. 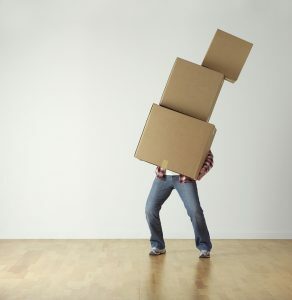 But, know that these tips will not do the job, they can only help you in your endeavor of moving and storing items. Prev How to choose a storage unit? Home / How to pack and organize your storage unit?